I provide newborn photography to Chicago and the surrounding communities. I am a newborn photographer that centers my art around newborns and maternity photography. I provide these sessions using soft studio lighting and dazzling natural sunlight to the communities of Hinsdale, Oak Brook, Elmhurst, and Oak Park, IL. 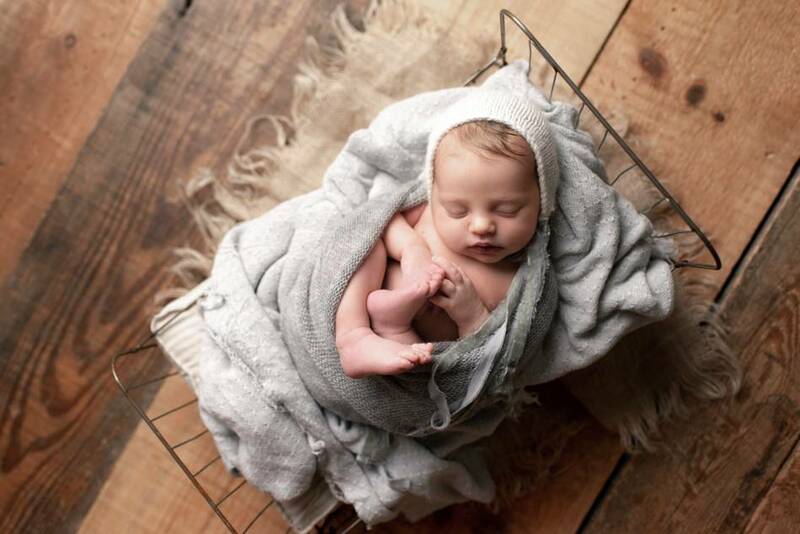 Newborn photography requires a thorough knowledge in portrait photography. More importantly, it also requires safe and special practices for posing and handling newborns. As a Newborn photographer, I bring a special care and dedication to your session. I will not rush to get your little one in and out of the studio. In doing so, I provide a catered experience to you as the client, and I never let you leave without being satisfied with your newborn portrait session. A baby lays swaddled in a light grey flokati rug. 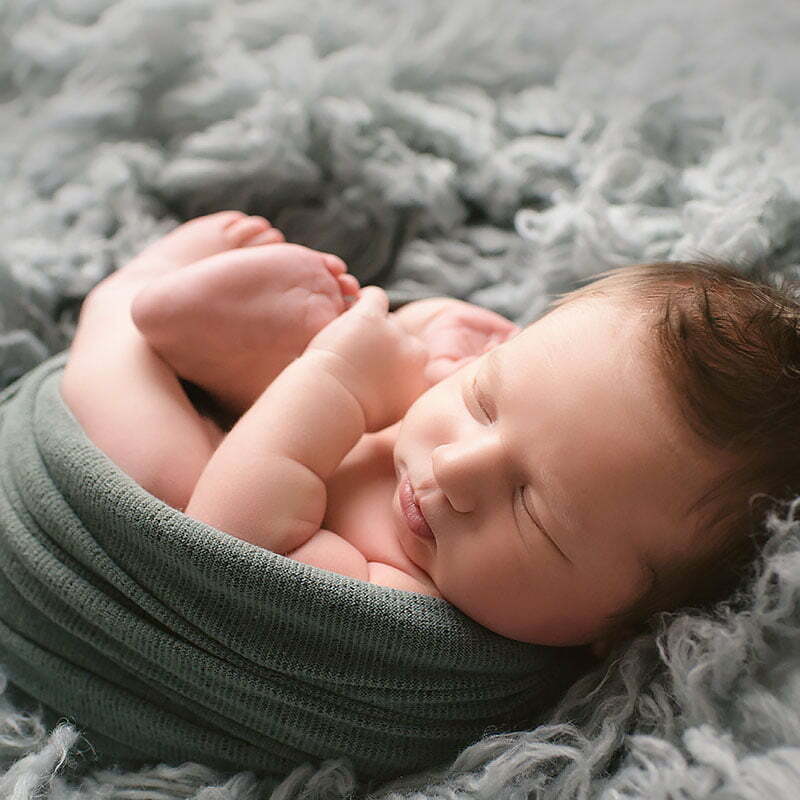 Newborn portraits are an important step in documenting and cherishing the life of your newborn. Scheduling your newborn session starts after the arrival of your newborn. This will also be in the first two weeks of their arrival. This is when your newborn is growing at such a tremendous rate. This also is when the newborn sleeps deeply and is comfortable in the poses. Each client has a different need and requirement for their budget, therefore I am offering multiple packages. 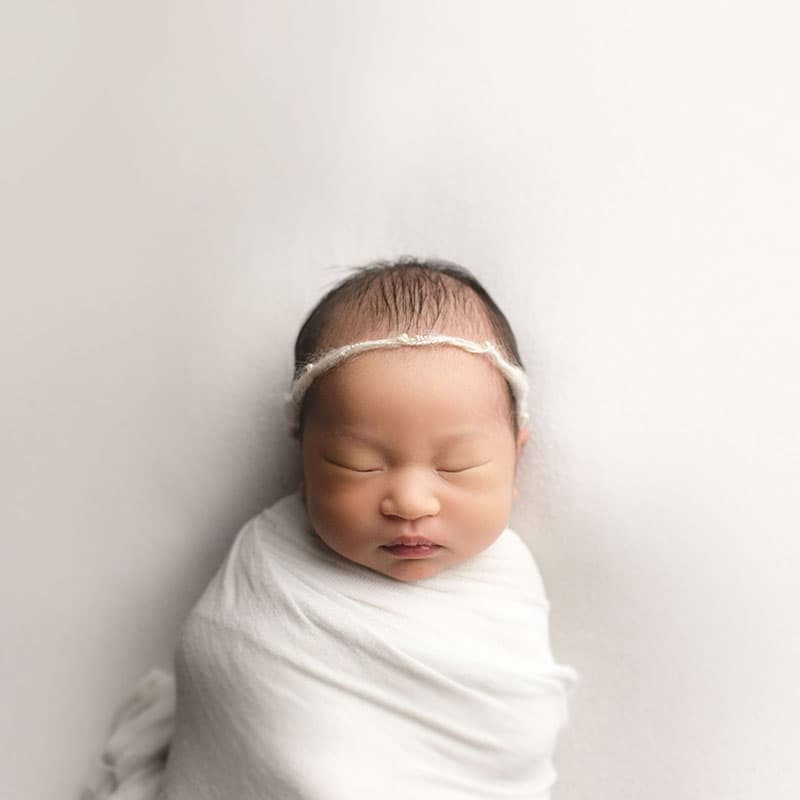 Instead of keeping newborn photography out of reach from many, I provide a reasonable and affordable option for those looking for a simple documentation of their newborn. Providing both in-home or studio photography session gives you different options for what works best with your desired gallery. My newborn packages include Newborn Portraits, while family photos are optional. I provide tiered newborn sessions. Choose what fits best for your needs. Start with a mini session, which includes 2-3 poses on a single backdrop, or move up to a full newborn sessions that includes 3 different scenes, 6-10 poses, and a time for family and sibling photos. 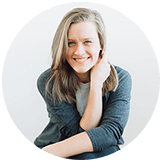 Abigail is a Chicago baby photographer specializing in Newborn and Maternity photography. Her work encompasses Baby, Children, and Families throughout Chicago and the surrounding areas.